Doctors write millions of prescriptions a year for drugs to calm the behavior of people with Alzheimer’s disease and other types of dementia. But non-drug approaches actually work better, and carry far fewer risks, experts conclude. I fully agree with the findings of this study, and I hope you will take the time to read this article, and share it with others in the Alzheimer's and related dementia community via Facebook, Google +, Pinterest, and Twitter. And, with doctors! The major point from my view - caregiver love is more effective than the use of anti psychotics and anti depressants. The researchers lay out their findings along with a framework that doctors and caregivers can use to make the most of what’s already known. Called DICE for Describe, Investigate, Evaluate, and Create, the framework tailors approaches to each person with dementia, and as symptoms change. Doctors write millions of prescriptions a year for drugs to calm the behavior of people with Alzheimer’s disease and other types of dementia. But non-drug approaches actually work better, and carry far fewer risks, experts conclude in a new report. Coincidentally, a new U.S. Government Accountability Office report (ANTIPSYCHOTIC DRUG USE) published the same day as the BMJ paper addresses the issue of overuse of antipsychotic medication for the behavior problems often seen in dementia. 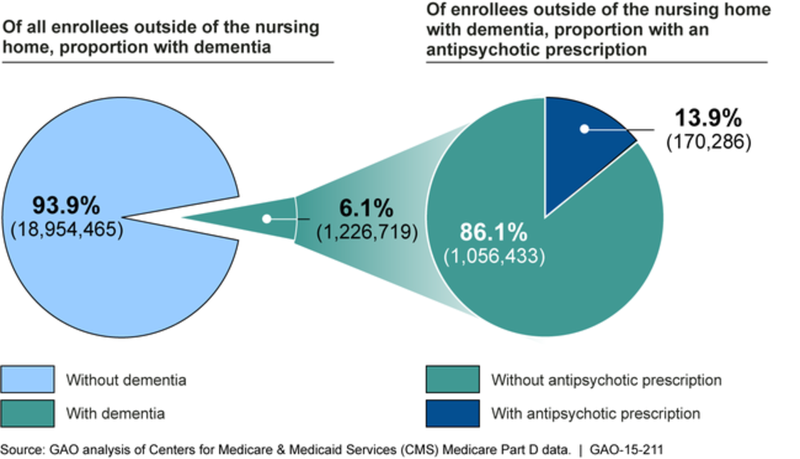 It finds that one-third of older adults with dementia who had long-term nursing home stays in 2012 were prescribed an antipsychotic medication -- and that about 14 percent of those outside nursing homes were prescribed an antipsychotic that same year. For instance, antidepressants make sense for dementia patients with severe depression, and antipsychotic drugs should be used when patients have psychosis or aggression that could lead them to harm themselves or others. But these uses should be closely monitored and ended as soon as possible. Kales, Gitlin and Lyketsos are working with the U-M Center for Health Communications Research to launch a National Institute of Nursing Research-sponsored clinical trial this spring that will test the DICE approach through a computer based tool for caregivers called the WeCareAdvisor. 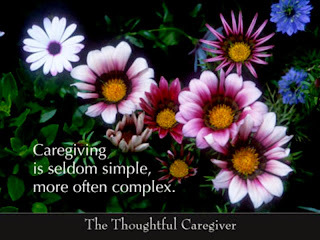 And making sure that caregivers get breaks from their responsibilities and take care of themselves, especially in the home, can help them avoid burnout and taking their frustration out on patients.